I sat the cup in there to try and show the colour of the glaze as the camera makes it look pale blue.. Does it help? probally not ! I'm sure that I have a pink one with that backstamp .... can't find it on here atm. I have a strong feeling that Val mentions these in her latest book too. 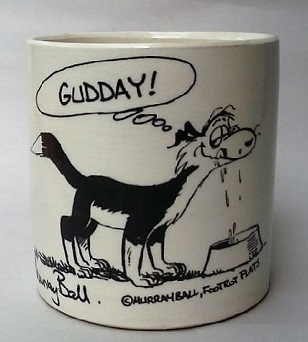 Fi sent a pic of this to the site as it's not in the Gallery. I have Decorative Touch [Pink] in the Database, so that is two colours in this range. There is no number just like Janice's one. 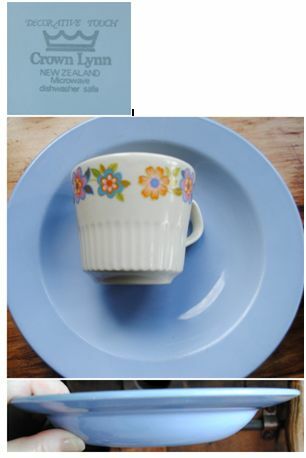 I saw a set of the Blue Decorative Touch today at Wendy Turner's and it had Modello matching cups and looked stunning.